The HP LaserJet 4250 duplex printing can be done both automatically and manually. However, the automatic duplexing feature requires an additional duplexer to be attached to the printer. This additional accessory comes in the package for few models, and are to be purchased separately for the rest. Power up the HP LaserJet 4250 printer. Remove the duplexer cover on the rear of the device. Attach the duplexer to the rear of the device and ensure proper attachment. Load enough paper into the input tray of the HP LaserJet 4250 printer. Launch the printer driver in the connected computer. Open the Finishing tab on the driver and look for the Print on Both Sides option. Select the option and click on the OK button. 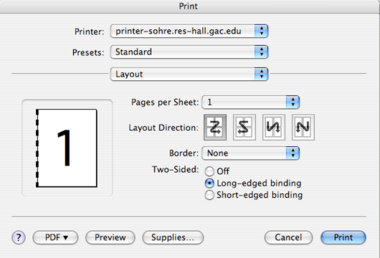 Assign the print job to the printer and get it printed on both sides. Connect the power cord to the rear of the HP LaserJet 4250 printer and provide power supply to it. Utilize the power button to turn on the device if it doesn’t, automatically. Ensure that the device is connected directly to a wall outlet. Power up the computer and ensure that is installed with the required driver and software. Make sure that the software and drivers that are installed on the computer are updated. The recent version of the software and driver can be obtained from our website for your respective operating system. Launch our website and open the HP LaserJet series printers. Click on the 4250 printer series and get the latest drivers for your OS. Open the duplex slot cover from the rear side of the printer. Take the additional duplexer and install it in the slot on the rear panel of the printer. Ensure that it is properly inserted and is fitted in place. Open the driver that is installed on the computer. To do so, click on the list of programs that are installed on the computer. Search for the HP LaserJet 4250 printer model and click on it. The printer driver opens up. Look for the Finishing tab in the driver menu. Click on the Finishing tab and look for the options to show up. Navigate to the Print on Both Sides option and select it. This enables the automatic duplexing option on your HP LaserJet 4250 printer. Ensure that sufficient paper is loaded in the input tray of the device. Now open the document to be printed and assign the print job to the HP LaserJet 4250 printer. The paper comes out partially while changing sides in the device. In the absence of an automatic duplexer, the HP Laserjet 4250 duplex printing can be done manually. For that open the printer driver, and click on the Finishing Tab in the driver pop up. Choose the Print on Both Sides (Manually) option. The printer will now print both sides upon manual shift of sides. Wait until the printer completes printing one side. Now open the output tray and take the paper printed on one side. Place it into the input tray after removing any excess paper, with its blank side facing upwards and click on Continue to complete the Print job for HP Laserjet 4250 duplex printing.